Plant grown in 1,3 liter container - Height of plant: 40/50 cm (16/20"). 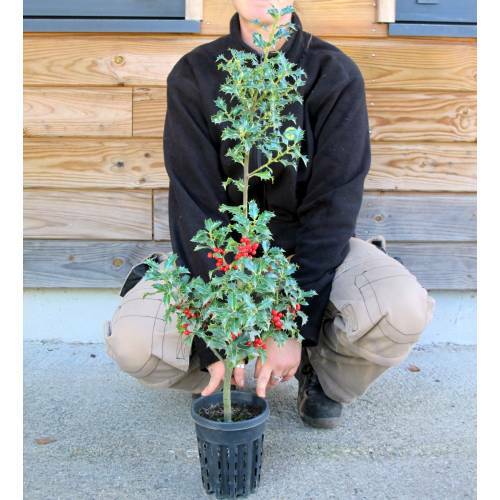 Young plug plant – Height of plant: 15/20 cm (6/8"). Plant grown in 1,3 liter container - Height of plant: 50/70 cm (20/28"). Plant grown in 1,3 liter container - Height of plant: 30/40 cm (12/16"). Adult Dimensions: Height up to 20m (65,6'), width up to 15m (49,2'). 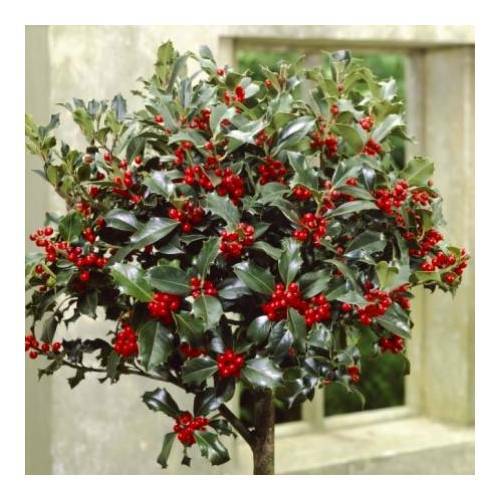 Hardiness: Hardy to -20Â°C, prefers damp area. 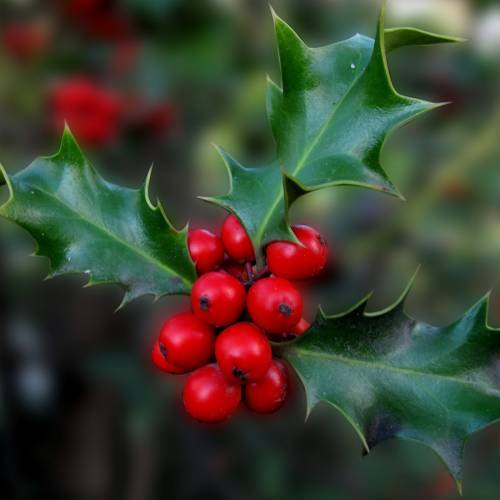 The red fruits remain throughout the winter and are very decorative as are the shiny green leaves. 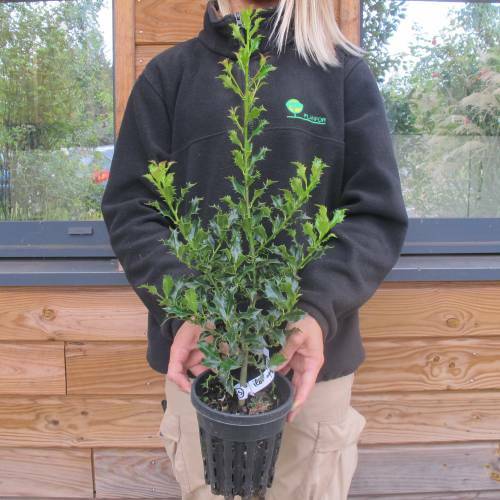 This shrub is perfect within hedges, flowerbeds or planted alone, and fits well into any size of garden. It can also be planted in containers and can be shaped easily such as into standards. Commonly used by florists. 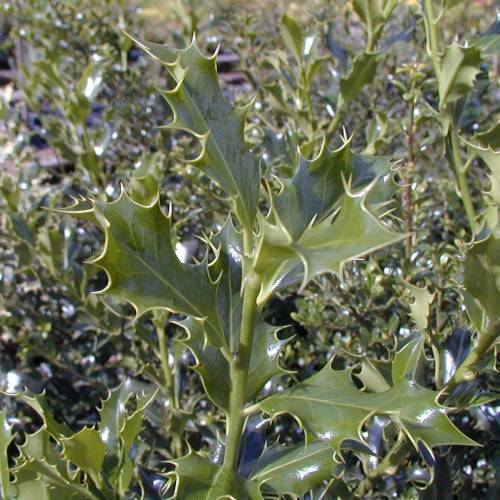 Holly requires male and female plants for producing fruit. Only the females produce the fruit.